John and Sarah Clelford are buried in the Drove Lane cemetery in Market Lavington. 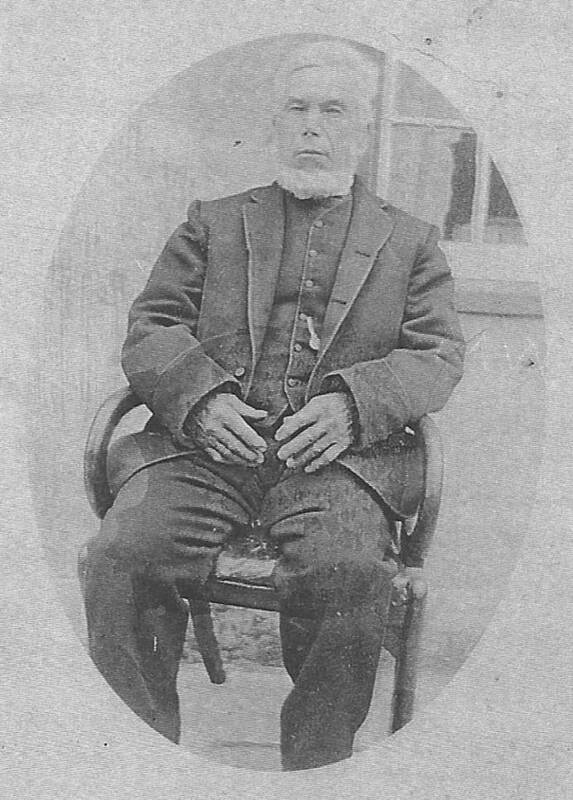 John Clelford was born on 9th June 1846 and baptised at Market Lavington on 1st June 1851. His parents were George and Sarah Clelford. In 1851 the enumerator has given the family the surname Culford but four year old John (written Jn) lived in Easterton with labourer father George and mother Ann. John was the third of the four children at home. In 1861 John was the scholar son of cordwainer George Clelford and his wife, Sarah. John was the second of four children and the entire family had been born in Easterton. The transcriber on the website we use has the surname as Melford. Sarah Davis was born around 1845. She was probably the daughter of Richard and Ann. This family can be found on the 1851 census on White Street, Market Lavington where Richard was a labourer. Sarah Jane (as she was called) was the third of six children in the home but I speculate that the older two had a different mother. In 1861 Sarah was still with her parents at The Hollow, White Street, Market Lavington. She had employment as a washerwoman. John Clelford married Sarah Davis on 24th April 1869. The 1871 census lists a John and Sarah Culver on Parsonage Lane in Market Lavington. John was an agricultural labourer aged 24 born in Easterton. Sarah, his wife was 26 and born Market Lavington. We think this is an enumerator error and these two are John and Sarah Clelford. In 1881 John and Sarah lived on Windmill Lane, Market Lavington. John was a market gardener, aged 34 who had been born in Easterton. Sarah was 35 and had been born in Market Lavington. Ann Davis, aged 74 and a widow born in Easterton was listed as the step mother of John – a pauper. Also in the house was Rebecca Spiers, aged 8, a niece born in Cheverell. 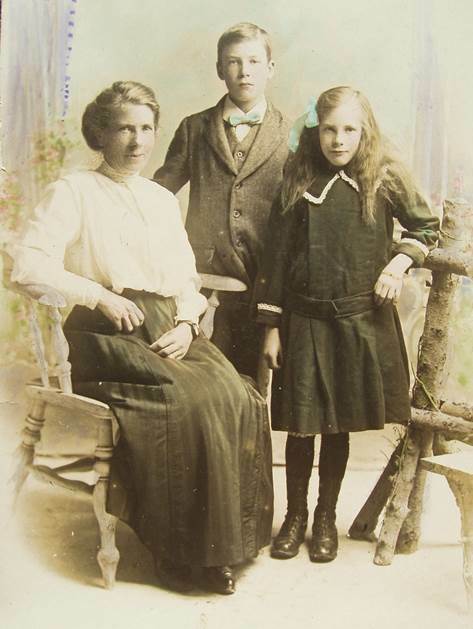 In 1891 John and Sarah along with niece Rebecca Spiers were still on Windmill Lane in Market Lavington. To confuse things, the transcriber has given them the surname Clifford and also allocated the home to West Lavington. John Clelford died in 1894. In 1901 Sarah, a widow of no occupation lived alone on Northbrook, Market Lavington. 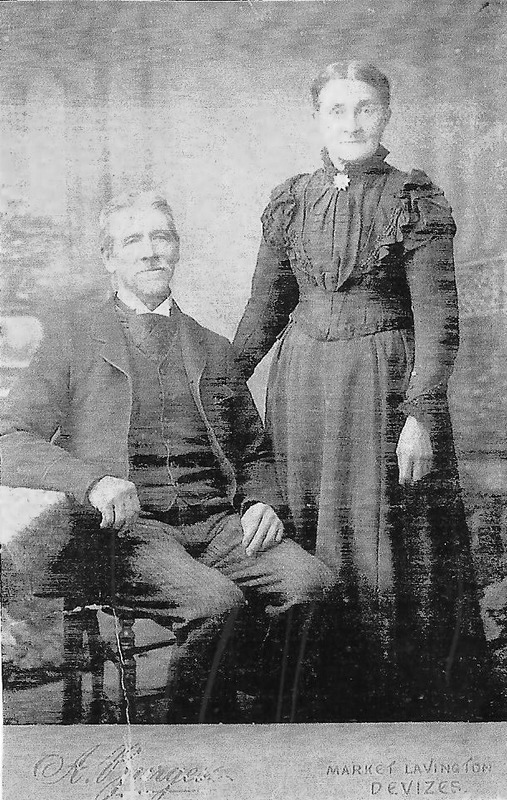 In 1902 Sarah married Thomas Spiers and they lived together in Easterton at the time of the 1911 census. Thomas Spiers, a market gardener, died in 1923. Sarah lived until she was 85. She died in 1930. Emily Sarah Bolter who died 18th January 1979 aged 83 years. Agnes Bolter or Boulter was born on the 4th January 1864 to John and Sarah Bolter. Agnes was baptised at St Mary’s, Market Lavington on the 27th March 1864. In 1871 Agnes lived with her parents, John and Sarah on Church Street, John, her father, was an agricultural labourer. In 1881 Agnes lived with her parents, John and Sarah on Church Street in Market Lavington. John was an agricultural labourer. Agnes, whose age was given as 17 had been born in Market Lavington and she had three younger siblings at home. John Bolter died in 1888 and was buried at St Mary’s, Market Lavington on 31st March of that year, aged 82. By 1891 Sarah Bolter was a widow and she was receiving parish relief. Agnes and a younger brother were with her on Church Street in Market Lavington. Emily Sarah Bolter had her birth registered in the Devizes district of Wiltshire during the last quarter of 1895. The 1901 census gives Agnes’s birthplace as Market Lavington. At this time she was living with her 69 year old, blind mother, Sarah who was described as a charwoman. Agnes’s daughter, Emily also lived with her mother, Agnes, and grandmother, Sarah, on Church Street in Market Lavington. In 1911 the same three generations of Bolter ladies were living on Church Street in Market Lavington. Sarah died, aged 80, in 1912. She was buried at St Mary’s, Market Lavington on 31st October of that year. Agnes Bolter was buried on 17th March 1950. Her address was given as Church Street, Market Lavington. Emily Sarah Bolter joined her mother, being buried by Reverend Norman Miller on 23rd January 1979 from her address at 29, Church Street, Market Lavington. Let’s start with the name confusion. Thomas Miles Dunford is sometimes Thomas Miles Durnford. He was born in about 1820 in Market Lavington. Sadly we have no 1841 census for Market Lavington or Easterton but we know that in 1849 Thomas married Eleanor Philpott and in 1851 Thomas was a gardener living in Easterton. Baby John was just 7 months old on census day. By 1861 the couple had three children. They still lived in Easterton, possibly up on the sands. At some point the family upped sticks and moved to Llandaff in the Cardiff area of Wales. Thomas was still gardening. And he remained in Llandaff for the rest of his life. Eleanor died in 1881 but Thomas soldiered on, still gardening until 1899. Eleanor also appears in a photo – this one a larger size but with no photographer’s name. We think it was once believed that names in newspapers sold copies. Certainly, back in 1964, the local paper seemed to like to get as many names in as possible. This is a sad item about the death and funeral of Elsie Cooper. But it is also a grand resource for anyone studying Cooper genealogy. The brothers and sisters are all named, albeit mostly just with an initial. Some nephews and nieces are added and even great nephews and nieces. Elsie, herself, had no direct descendants. We have met wheelchair bound Elsie before on this blog, along with her brother Stan (click here). We have also met Lawrie (click here). Harry has featured as well (click here). Frank Cooper crops up here (click here). It’s this news cutting that links the family together. Thanks to Tessa for sending it. Actually it came with a photo in an envelope which said ‘Elsie Cooper’ but the photo is not Elsie. We think this could be a Cooper family dog from the 1930s called Nellie! We have seen this photo before – or rather this composite photo which shows the Market Lavington Vicar with a wonderful name (The Reverend William Blackstone Cockayne Frith) hovering over St Mary’s church in the village. It’s a lovely image and we rather expect Alf Burgess enjoyed putting it together. What makes this card different is the family history contained in the message. The card was sent to Miss A Coleman and was posted in Chippenham at 10.45 pm on May 27th 1905. Although posted in Chippenham the writer has given his address as Chapel Gardens, Easterton and he has sent this card to ‘Dear Sister’. With the speed of postcards in 1905 it’s a fair bet that Miss A Coleman’s birthday was the next day – 28th May. Alice, Charlie and Stephen are three of the children of William Coleman, a shoe maker and one time Town Crier for Market Lavington. Alice was in service in Kensington, working as a cook. Charlie, as we saw, lived in Easterton where he was a Baker. Stephen was living in Market Lavington where he worked as a groom and gardener. The son born that day was also Stephen – the father of the person who has let us copy the card but understandably, with so much information he wishes to retain the original for the family. William was born in 1848 in Market Lavington – registered in the first quarter of the year. His father, John Potter, was a butcher, also a Market Lavington man. John’s wife, Martha came from Cricklade. In 1851 the family lived on Church Street, Market Lavington. Our William had an older and a younger sister. Elizabeth Plank was born in Easterton in 1853 – the birth registered in the third quarter of the year. Her parents were James, a farm labourer and Maria who had both been born in Easterton. The 1851 census shows that James and Maria had several children before Elizabeth was born. Elizabeth, with her parents, had now moved to The Hollow, White Street, Market Lavington by 1861. Seven year old Elizabeth was a scholar. Her father was a farm labourer. In 1871 William was living with his widowed mother, Martha, on Church Street again. William, now aged 23, was described as an agricultural engine driver. Elizabeth was still with her parents on White Street, described as an agricultural labourer’s daughter. William Potter married Elizabeth Plank in the spring of 1876. By 1881 they had three sons, Enos, John and Albert. The family lived at number 3 Stobbarts Road (next door to Richard Park). William was an ‘ag lab’. 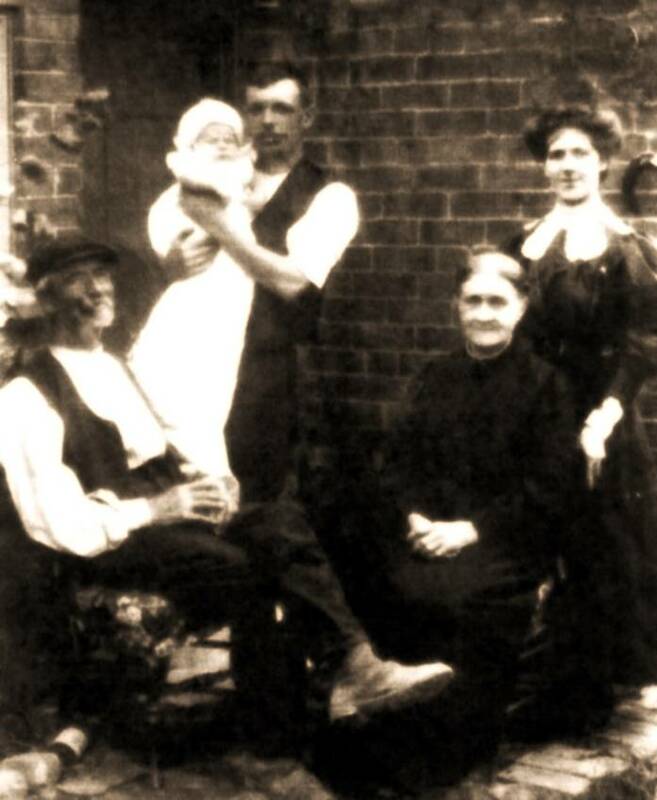 Between 1881 and 1891 the family grew – Sarah, William and Harry having joined the three older boys, all now living on High Street. Our William has become a groom. Both Enos and John are in employment and no doubt helping the family finances. In 1901, just the three younger children were at home with William and Elizabeth – now living on White Street. Elizabeth died on July 21st 1904 and was buried in Market Lavington churchyard. The youngest son, Harry, died on March 21st 1911. In 1911 William and a daughter lived on White Street in Market Lavington. William lived a long (for those days) life, passing away on April 17th 1934. Today we look at some genealogy information written by a descendant of William McTier Hughes who spent some of his life in Market Lavington and Easterton. The 1911 census, one piece of confirmed documentary evidence, has the family at The Clays, Market Lavington. William was born at Heddington (where the main line of my family originate) in 1845, the eldest son of Solomon Hughes and Decima (McTier). I have just found copy of a letter that I had written to the owners of Clays Farm back in 2005, when I was previously researching this line of the tree so I have used bits from this letter. Spotting the Market Lavington Museum website has rekindled my interest; it’s very good! William worked in London, where various members of the family had a greengrocers shop, married Emma Bentley in 1867 in Chelsea Registration District. Emma was the daughter of Troop Major Sergeant William Bentley, who survived the Charge of the Light Brigade and there is a display of some of his items donated by his family in the Royal Hussars Museum in Winchester. Emma was working as a governess to Eve & Branwell Booth’s children. (Founder of the Salvation Army). William Bentley strongly disapproved of their marriage. They later moved to Easterton, where William was a market gardener. I have a letter in which it mentions the family living at Cornbury Mill, Walnut Cottage and Clays Farm. I haven’t been able to locate Walnut Cottage. Daughter Lilian’s diary started in 1894 mentions them living at Cornbury Mill. Also in Lilian’s diary she mentions that her sister Fanny and husband lived in London and it has been suggested that William supplied vegetables and sent them to the shop in London. Fanny later died in Calne. Lilian, later Lilan Trumble was the local district nurse. I have a letter from William thanking his daughter Grace for his birthday present of sweets and tobacco cake, in which he mentions his vegetables, Devizes Market and the war, but it is very difficult to read. Francis William b 1872 Heddington & died at sea off Cape Verde 1896 (in mysterious circumstances, we think he was pushed overboard)! Lilian Mary b 1875 Battersea. Walter Ernest b 1877 Easterton, who died aged three. Annette b 1879 High Street, Easterton . It would appear that family moved backwards and forwards from London & Easterton and that the other Hughes living in Easterton were 2nd cousins once removed. William died 2/12/1916 at Clays Farm from a fatal syncope. Family rumour says that he dropped down dead working in the fields and was carried home on a wooden litter. He is buried at St Barnabas, but we have been unable to locate a headstone. We have met Edwin Davidge before on this blog. He worked at the brick works and lived at a cottage on that site. Today we look at his wife and two of their children. The photo has been given a touch of artistic colour. Mary Jane Davidge was born in the parish of West Lavington in about 1869. She had been Miss Mary Jane Hibberd. She married Edwin in 1888. By the time of the 1911 census she had borne Edwin 10 children of which eight were still living. The youngest pair and the pair in this photo were Herbert and Gladys. Herbert was born in around 1906 and Gladys in 1908. The photo could date from about 1918. Mary Jane stayed a Market Lavington inhabitant from marriage until her death in 1962. She joined her husband, Edwin, who had died in 1930, in the churchyard in Market Lavington. In 1939 she lived at 26 Spin Hill. Gladys was with her. Indeed Gladys was still living there in the 1960s and when she died, in 1990, she was certainly still in the area. We know less of Herbert. He died in 1970 in the New Forest area.